(M-L) Vintage T-shirt! 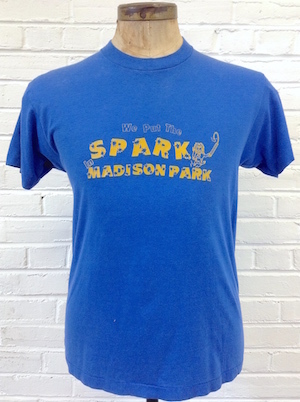 Blue & Gold "We Put the Spark in Madison Park"! Nice n' soft! Home > Men's Vintage Shirts > T-Shirts > (M-L) Vintage T-shirt! 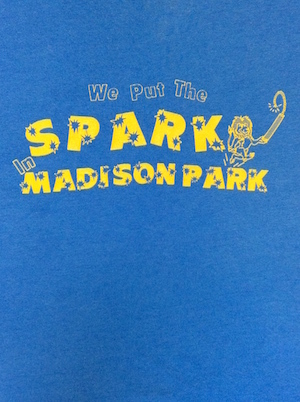 Blue & Gold "We Put the Spark in Madison Park"! Nice n' soft! Vintage t-shirt. WE PUT THE SPARK IN MADISON PARK. Washed thin and super soft but not "too" thin. Medium blue with yellow printing. Tag is Screen Stars. 50% polyester 50% cotton. Very awesome and super soft!